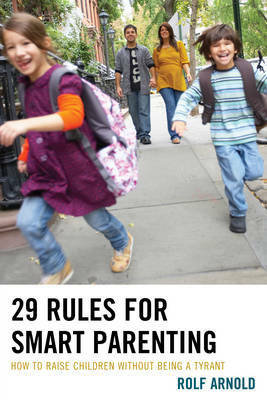 The 29 Rules for Smart Parenting are intended to help the reader to become more effective as parents and teachers. On this basis, any advice to establish a friendly relationship with your children misses the fundamental point in the parenting challenge: the responsibility felt and lived. This provides a feeling of security that is far different from feeling accepted in a friendly relationship. Children feel in this elevated awareness that something is expected of them, but at the same time, also know they are on "safe ground" to experiment, to try, and to fail. Such parenting builds trust and establishes an inner basis on which self-confidence and personal responsibility can develop and mature.